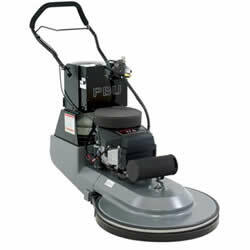 The Nilfisk PBU 2717B is a propane powered floor buffer. The easy to use controls makes this unit ideal for all skill levels. The Nilfisk PBU 2717B is rugged and built for longevity.